Elegant Multipurpose HTML TEMPLATE also included with configurable php files, psd, ai. 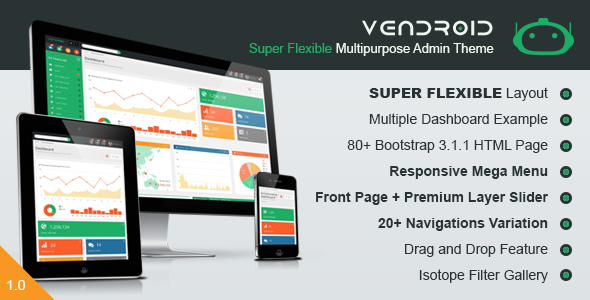 Super Flexible Multipurpose HTML Template for Administration purpose also included with configurable php files version, HTML version, Premium Layer Slider, Isotope, and psd. Very refreshing design ! Have been looking for homepage slider with this concept for ages. This is a very amazing theme. i spent the last few hours checking it out one by one, page by page and i must say its very splendid and awesome. I bought this item a week or two ago and think it is the best template I have purchased. It is so flexible and fits totally with my needs. Great template and excellent after sales support. You guys rock!